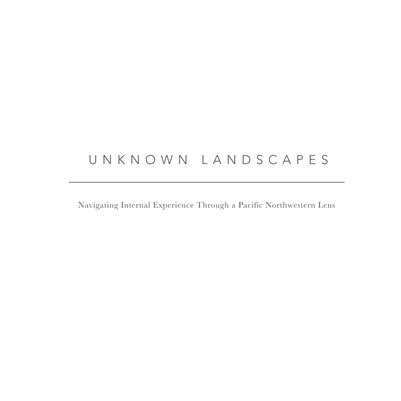 Exhibition catalogue for, Unknown Landscapes: Navigating Internal Experience Through a Pacific Northwestern Lens, a group exhibit of six Seattle-based artists on view at North Seattle College Art Gallery from April 5 - May 6, 2016. Featuring work by Megumi Shauna Arai, Zack Bent, Max Cleary, Hongzhe Liang, Candice Price and Serrah Russell. Curated by Erin Elyse Burns.